Former 500cc world champion Kevin Schwantz will come out of retirement to partner Yukio Kagayama and Nori Haga for the 2013 Suzuka 8hr race. 48 year old Schwantz, who has been in retirement since 1995,will ride the GSX-R usually riden by Kagayama in the Japanese championship. The Texan has remained active in bikes since his retirement, running his own race school as well as mentoring a host of new American talent. 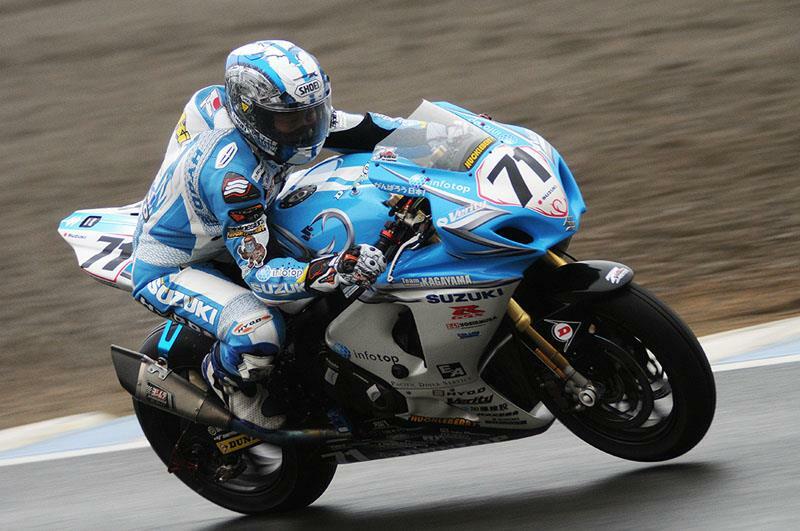 Kagayama, a former Suzuka winner, has been running his own team in the Japanese championship since returning from British Superbikes in 2010. Haga failed to secure a ride for 2013 after a mediocre 2012 season with the Swan Yamaha team in British Superbikes. The EWC paddock is still awash with rumours of a factory Yamaha team to be announced for the 8hr, with speculation thyat Valentino ROssi could be partnered with fellow Yamaha and Monster Energy rider Cal Crutchlow.